This page represents children from many countries. All of them have Down syndrome. 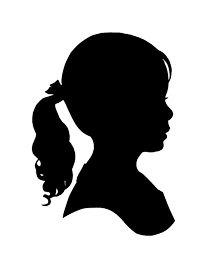 Some of the orphanages allow multiple children to be adopted together. 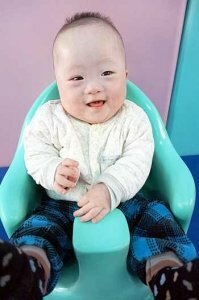 The majority of the children posted here can also be adopted by CANADIAN FAMILIES! Please inquire! *Your gift will serve ALL of the children, as 10% of each waiting child donation is shared with our Voice of Hope fund as well! Yuliana’s file is being prepared; she will be available this summer. $96.93 has been donated towards the cost of my adoption! Aubrey’s caregivers say that she is a quiet girl with a clear mind and has shown good responses to stimulus. Her file states that she has a good appetite and sleeps well during the night. Her most recent information indicated she can sit up, and crawls well on her own. We have requested updated information on Aubrey and the agency would love to have a family waiting for her when it arrives. Tasha is a sweetheart! Tasha is described by her caretakers as clean and tidy. She likes cuddling with her caretaker and will always respond to the sound source when called. She likes to snuggle in for a hug when she falls down or is unhappy. When her caretaker teases her, Tasha squints her eyes and smiles happily! Tasha’s caretaker often takes her to enjoy the sunshine and get fresh air in the garden when it is sunny. Tasha has a good appetite and is fed congee with a spoon. 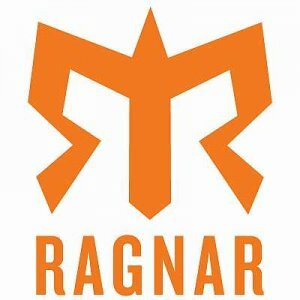 She receives daily rehabilitation training. At the time her file was written, Tasha was rolling over both ways. Tasha likes playing with her favorite toys, especially those that make sound. She also enjoys playing outside and playing games, led by her caregivers, with her friends. She goes to bed at 8:00 p.m. and sleeps deeply until morning. Tasha takes a tub bath three times every week in spring and autumn, twice every week in the winter, and once every day in the summer. 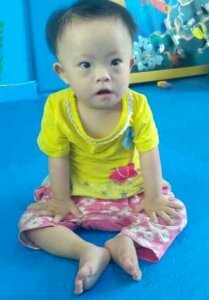 Tasha is a precious little girl who needs out of a big orphanage and in to a loving family who can get her access to the resources she needs to thrive. We hope Tasha’s family sees her while she is still so young! Tasha has a $1,500 agency grant for her adoption with her current adoption agency. 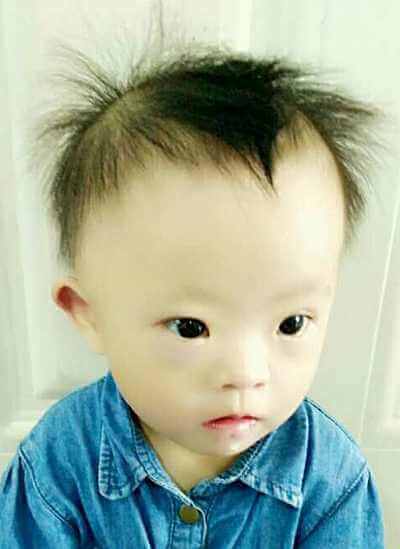 Other agency grants may be available based on the adoptive family’s circumstances. $10.00 has been donated towards the cost of my adoption! Livi is a smiley little girl who is loves people. 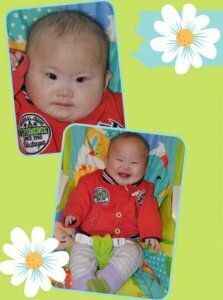 She is quick to grab her caregiver’s attention with her big smiles and happy babbles. 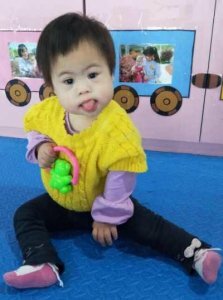 Livi was born with Down syndrome and is typical for her need, is delayed in all areas of her development. Otherwise, she has enjoyed good health. Livi loves to play peek-a-boo and enjoys stroller trips outside. At 1 ½ years, Livi can sit confidently, roll easily, and grabs toys. The agency has requested an update and look forward to see what this little charmer has been up to recently. Families may qualify for a $5,000 subsidy through the adoption agency who currently has her file. One-and-half-year-old Xenah is extroverted, active, and has a ready smile. Xenah’s report in 2018 says she can hold her head well, can turn her head to follow moving objects, and will look at her caretaker when they talk to her. Her report also indicates her favorite activities are to be cuddled and teased. Xenah’s pictures show how giggly and happy her demeanor is. Her file says she can pick up blocks and she loves holding two together as she stares at them. The agency has requested updated information on Xenah and would love to have a family waiting for her when it arrives! Taylor is a beautiful baby girl with Down syndrome. She has straight black hair with brown eyes. Taylor has a beautiful smile that she extends to everyone she comes into contact with. She pays close attention to what is going on around her by following closely with her eyes. She enjoys holding and playing with a rattle, putting it in her mouth, and moving it from one hand to the other. The agency has photos to share at the appropriate point in a family’s adoption process. Delia is a smiley girl who loves to give her caregivers hugs! They describe her as a quiet and obedient toddler. She especially enjoys music, and will shake her body when she hears a tune. She also enjoys playing with drums, the toy piano and shaking rattles. 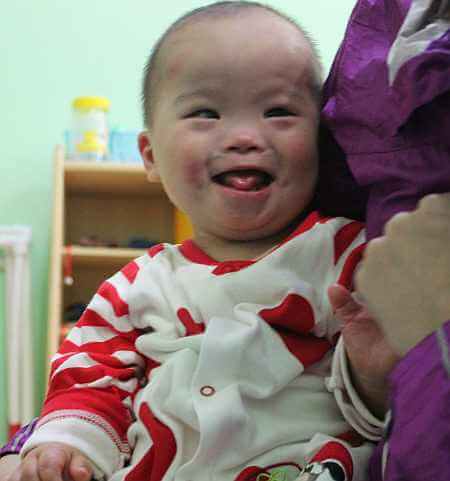 Delia has Down syndrome, but is not diagnosed with any other medical conditions. Her development is behind, but she has made progress at her own pace. 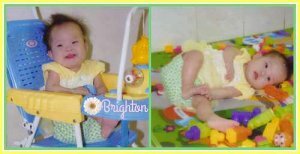 At eight months old she could roll over, and a couple months later was sitting with support. When she turned one she was saying single syllables like “ma” and “ba.” By one and a half she could sit on her own and crawl. 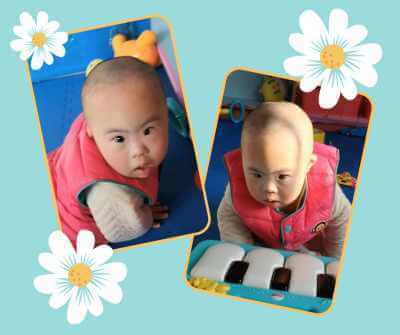 She likes playing hand clapping and finger pointing games, and is able to pick up small objects with her thumb and forefinger. If another child takes her toy, rather than cry she just goes and finds another toy, but next time she will hide from the child who took the toy from her! Delia is waiting for the lucky family who will enjoy all the hugs she hands out! 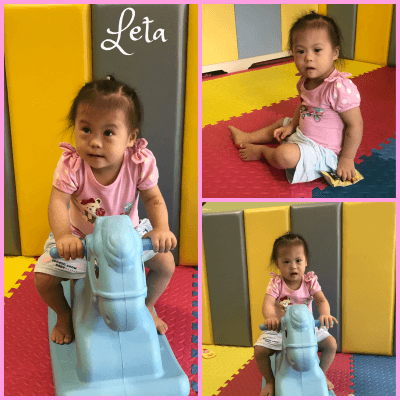 UPDATE: Delia is a precious little girl, who also goes by the advocacy name of “Leta”. Delia can sit, crawl, walk, play clapping hand games, and pick up small objects with her fingers. She likes to play with toy drums, rattles, and the toy piano. If Delia hears music, she will be happy and shake her body to the beat. If another child takes her toys, Delia will hide from them and find another toy to play with instead of crying. She is quiet, obedient, and has a beautiful smile. Delia makes one syllable sounds and responds to others asking for her toys or food. She likes snuggling and hugs from her caregivers. Delia is a good eater and is not picky. She does have a red birthmark on her left arm. Don’t miss Delia’s video from this past August! Delia’s current agency has a $1500 grant, available to families who qualify, to assist with the cost of this adoption. $909.00 has been donated towards the cost of my adoption! 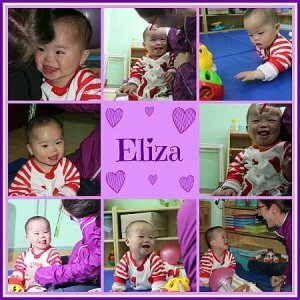 There is a $1,500 agency grant for Eliza’s adoption with her current adoption agency. $468.00 has been donated towards the cost of my adoption! Beautiful Brightyn, loves playing, toys that make noise, and being held. Brightyn is a good sleeper and she really likes her quilt. She was rolling over and making sounds between 7-9 months of age. She is able to visually follow moving objects and listens carefully to the sounds she hears around her. She smiles when teased and is not scared of strangers. 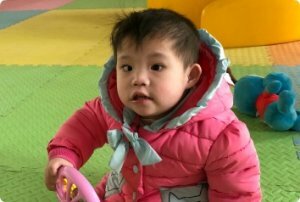 Brightyn’s file also listed her as having a congenital heart defect, but an ultrasound showed no abnormal findings of the heart structure and function. We’d love to see Brightyn home with her forever family by her 2nd birthday! There is a $2,000 agency grant for Brightyn’s adoption with her current agency. $135.00 has been donated towards the cost of my adoption! 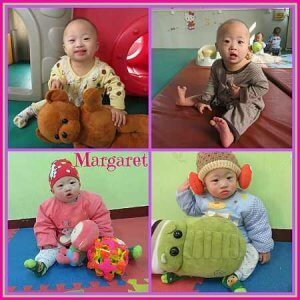 There is a $1,500 agency grant for Margaret’s adoption with her current agency. An adoptive family for Margaret is also eligible for a $5000 matching grant from RODS Racing! $5,000.00 has been donated towards the cost of my adoption! Xena will be two-years-old this spring. She is known as a girl with a sweet personality, rarely crying. She likes to play in her bed with toys that make noise, listen to music and being near caregivers while holding their hands. Xena can bang two blocks together, understand when others speak to her and will follow simple directions. 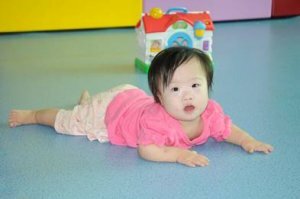 A recent report from 3/2018 indicates she can sit without support, stay in a crawl position, creep on her tummy, reach for toys and visually follow her caregivers when they move around the room. Xena has Down Syndrome and other medical concerns. An adoptive family for Xena is also eligible for a $5000 matching grant from RODS Racing! Precious little Maisie is described by her caretakers as calm, outgoing, cute, easy-going, and lovely. When Maisie sees familiar people, she is happy and laughs. She likes her caregivers to hold her up and tease her. She is an active little girl who likes to hold and play with brightly colored toys. Maisie was rolling over and sitting with support at 7 months of age. She also responded to her name being called. 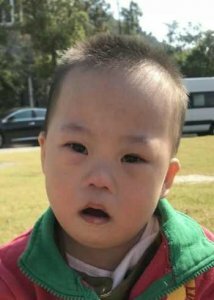 Maisie has been living with a foster family inside the orphanage since July of 2017 and she is very close to her foster mother and enjoys playing with her foster siblings. She receives early intervention, PT, and education daily. 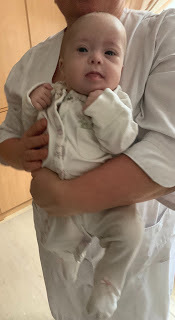 She is making sounds, is a good eater and sleeper, and is starting to stand with support. Her orphanage sent an update in January 2018 – be sure to watch her new VIDEO! Contact the agency to read her full written update. We hope her family will see her soon and bring her home while she is still so young! 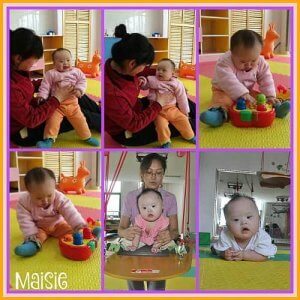 There is a $1,500 agency grant for Maisie’s adoption with her current adoption agency. $236.14 has been donated towards the cost of my adoption! Agency staff met Soleil in October when she was only 4 months old. Naturally, they kind of fell head over heels in love. Look at this sweetheart! She is now 14 months old and as cute as a button. At the time her file was prepared, she could crawl and sit independently. She can pick up and feed herself small finger foods. She bangs blocks together and understands what “no” means. She is very attached to her foster mom and is doing so well. This little sweetie needs a mommy and family of her own! Soleil has a $1500 grant through her current agency. $111.00 has been donated towards the cost of my adoption! Marley is an active and lovely child; facial expressions are rich; she likes all kinds of toys. She laughs when amused and can make sound of ah-oh. She likes to look at interesting things and play in the children’s activity room. $1,653.40 has been donated towards the cost of my adoption! Hannah’s a sweet cuddly baby, and has grown a bit over the past few months. She also loved being rocked and held a lot; she has sweet smile when amused; she claps her hands when happy and she is a lovely child. $130.10 has been donated towards the cost of my adoption! Sweet Jacquie loves to babble and engage with her nannies. She has great eye contact and is fascinated by faces. Although she is just a young baby, it is obvious she is curious and is interested in her surroundings. Put a toy in front of her and she’ll grab it right away! 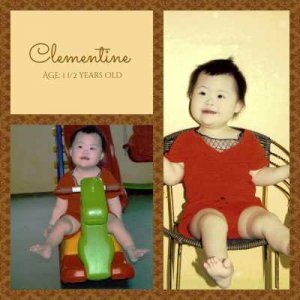 Jacquie has Down syndrome and a heart defect which has been repaired. Can you imagine being the lucky one to play and cuddle with Jacquie? Families qualify for a $7,500 subsidy through Jacquie’s current agency. $231.30 has been donated towards the cost of my adoption!